Each panel's output was brought directly into the control room via relatively heavy 6mm twin core cabling. This will allow us to configure the panels going forward without the need to access wiring on the roof. 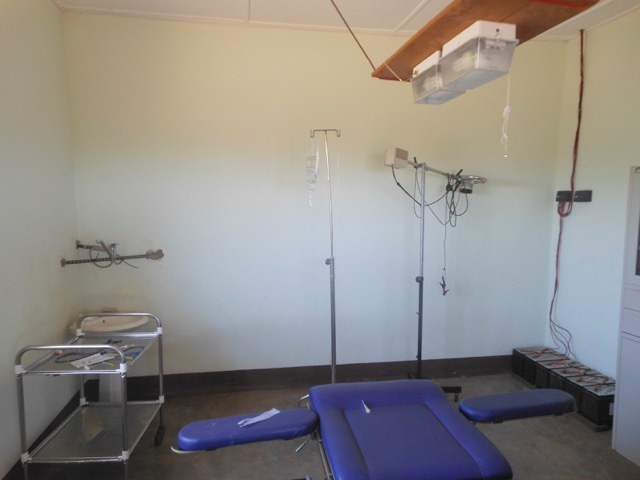 The system is designed primarily for heavy daylight use, since this is the reality of the hospital workload. 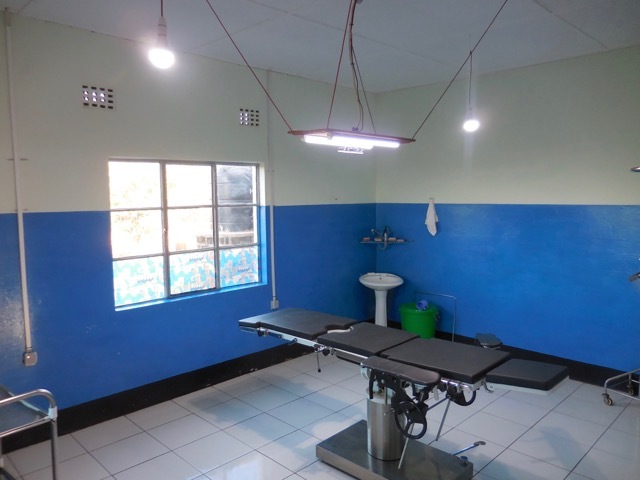 We did install enough batteries to ensure the surgical and maternity wards have all-night lighting available — something not previously possible. 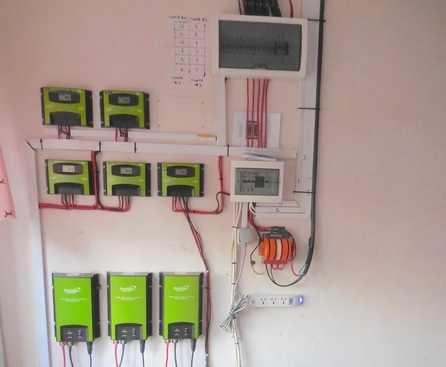 In the surguries themselves, we replaced very low wattage DC-compact-flouro lighting with a dual system of AC-based LEDs and a DC LED backup system. The "before and after" pics to the left show the difference this makes in terms of available light in the operating environment! Each theatre now has 2 x 9W LEDs for general room lighting and a 10W LED adjustable, directional floodlight directly above the operating table.